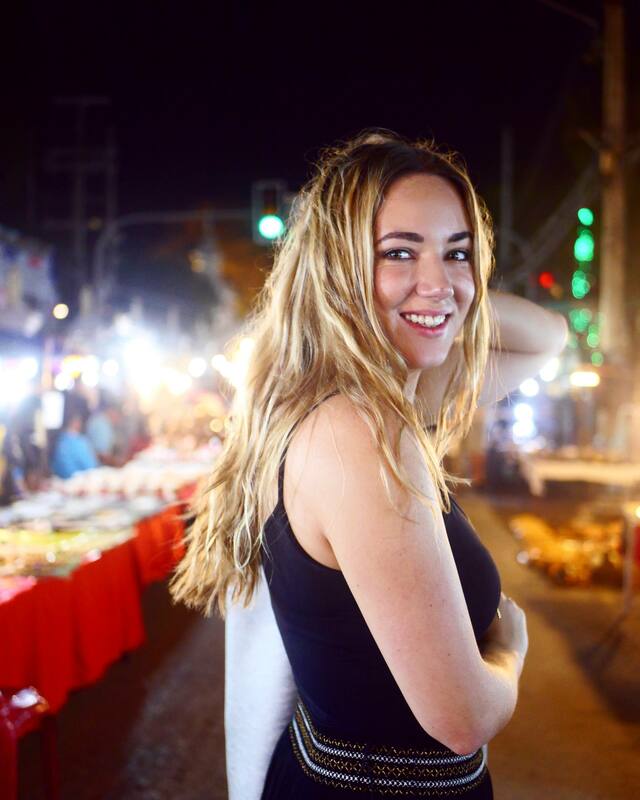 Before the blog was born and before I really knew what I wanted from life, I embarked on a 4-week backpacking adventure to Thailand with 3 of my best friends. I was 19 at the time and the trip was my first real experience of independent travel (without parents). It was the well-trodden Thai traveller route that many now see as cliché, but let me tell you, it was epic. 8 years later I never thought I would have the chance to go back and retrace my steps in Chiang Mai. But suddenly there I was, sat in Qatar Airway’s business class cabin, about to retrace my footsteps and relive my memories. 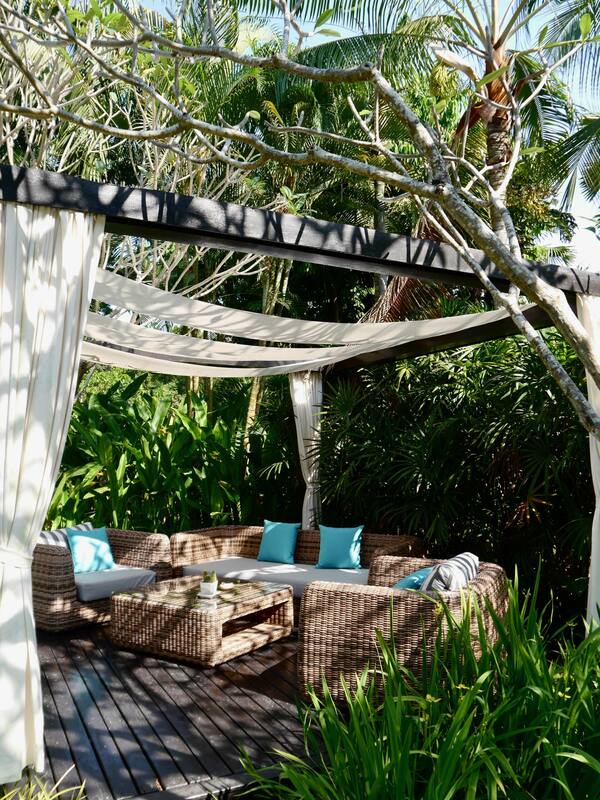 Only this time, it would be in luxury. 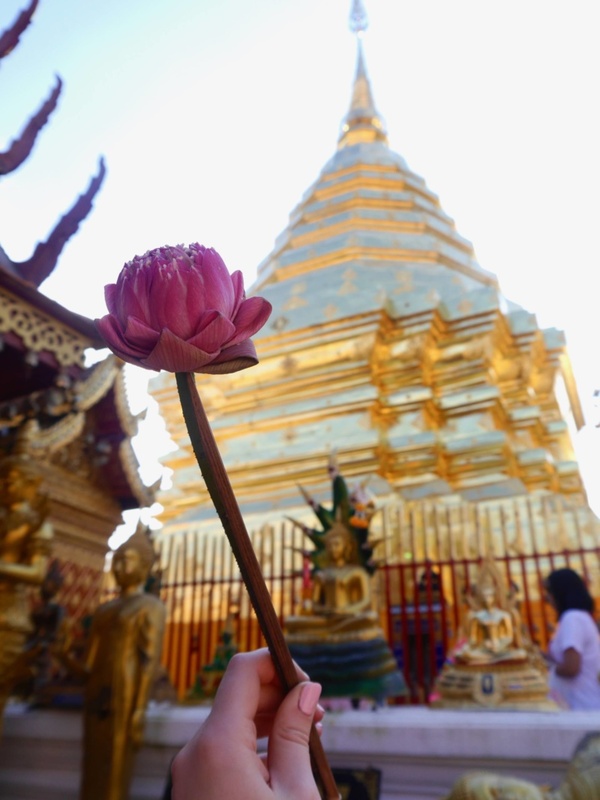 The things listed in this post are all must-do's whilst in Chiang Mai, so if you're planning your own trip to Thailand's second largest city, I hope this post provides a little inspiration too. 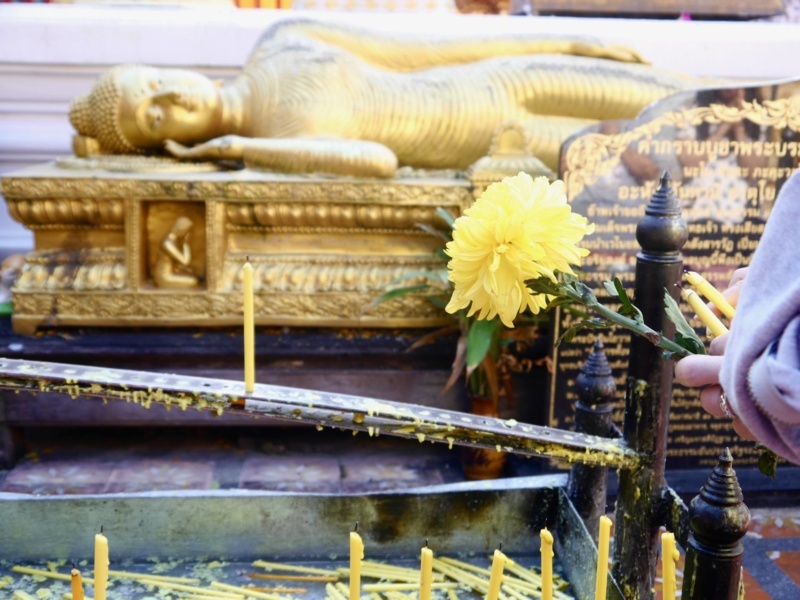 Returning to Wat Phra That Doi Suthep was definitely the most significant part of my return visit to Chiang Mai. 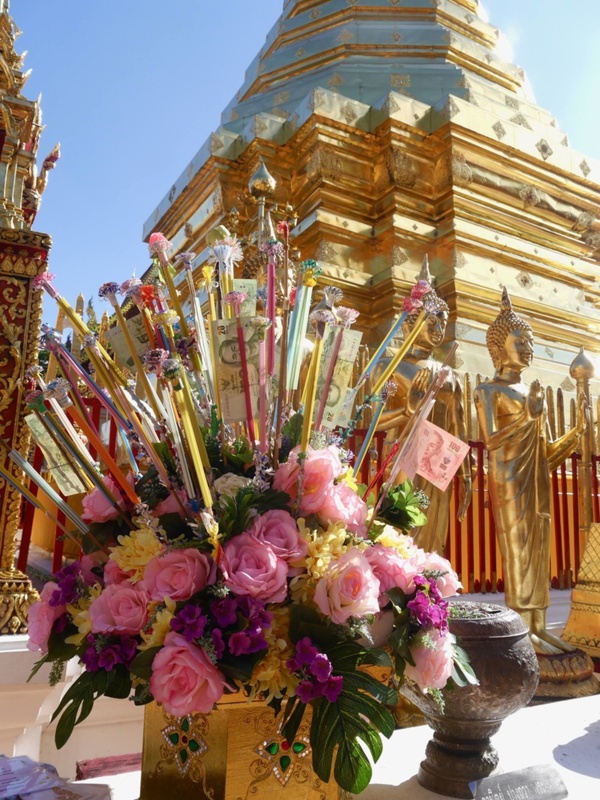 Set at the top of Mount Suthep, this is the most famous and iconic temple in Chiang Mai. 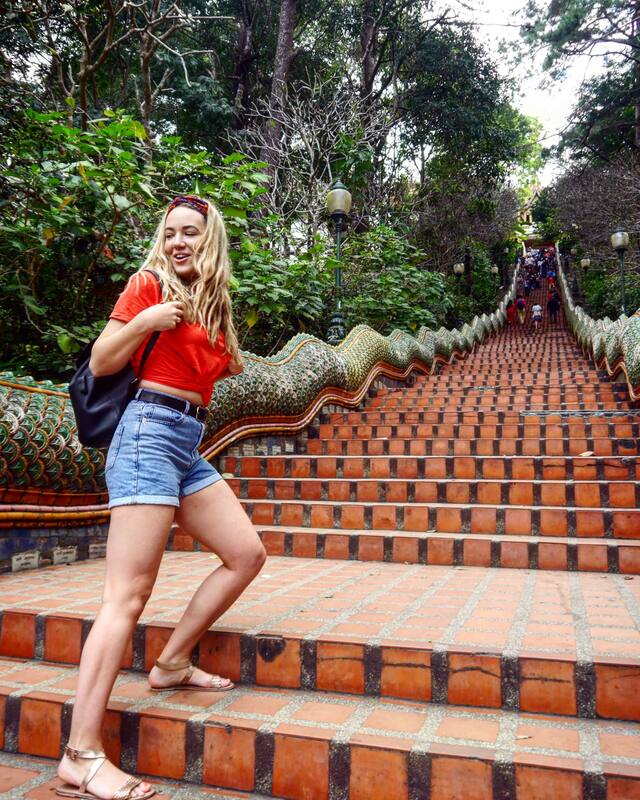 Every tuk-tuk and songthaew driver in the city will be happy to take you 15km up the mountain to the foot of the temple. From here, you can either choose to take the lift up or climb the 306 to the entrance of the temple (a much more exciting option). The steps are a work of art in them, with two mosaic dragons acting as the ‘book-ends’ at either side of the steps. It wasn’t until I saw the dragon steps that the memories came flooding back. The temple itself is a total spectacle. 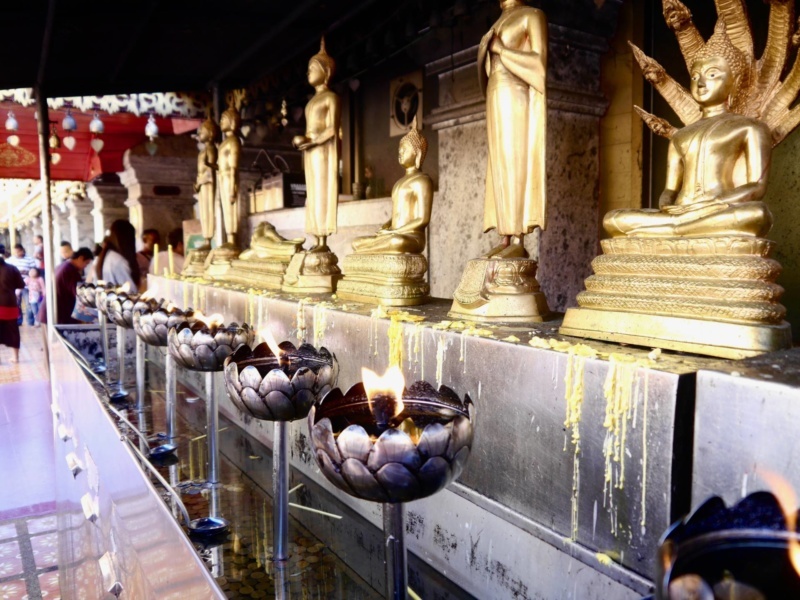 Around the edge are various Buddha statues and in the centre lies the iconic golden stupa. The intense smell of incense hit me as I walked into the temple, which was exactly the same 8 years ago. What had changed however, we’re the amount of people there. 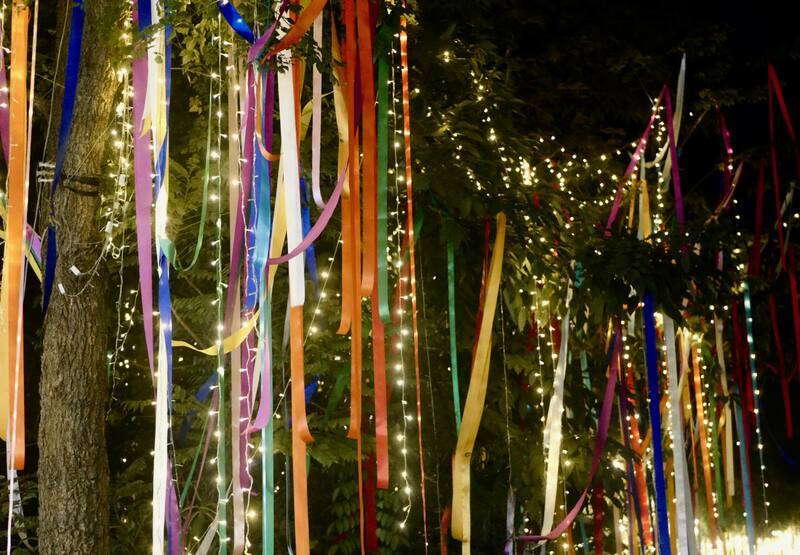 It’s safe to say tourism in Chiang Mai has completely boomed this past decade. 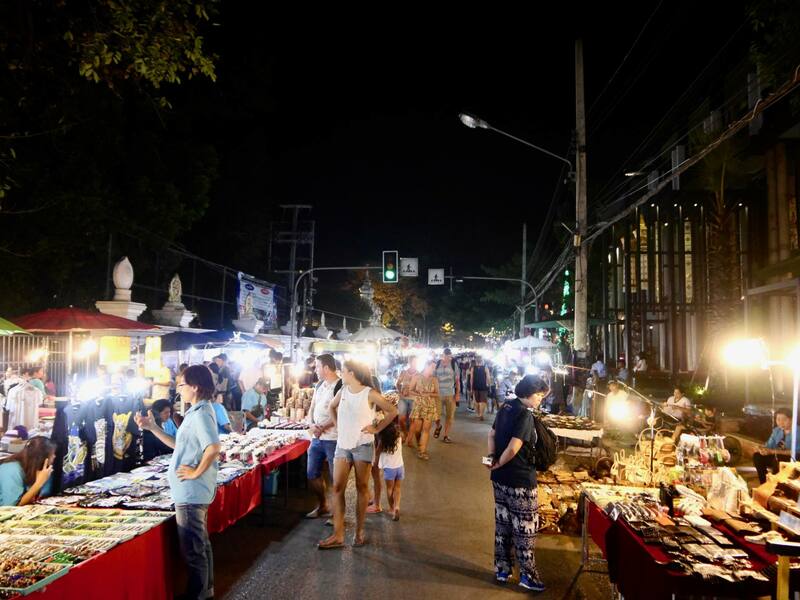 The night market is another of Chiang Mai’s most famous attractions and it was also amazing to see how it had grown in 8 years. Street vendors line the Old City’s walking streets and set up stalls side by side. I love visiting markets on my travels to pick up new home wares and souvenirs and of all the markets I have visited, Chiang Mai’s is still the best. That’s because it’s full of things that you actually really want, and won’t regret buying the minute you come home. The variety is great and most of the products are handmade, unique and incredibly cheap. You’ll find handicrafts, ceramics, clothing, jewellery, toys and trinkets of all shapes and sizes. The streets are a hub of activity and you can’t help but get swept up in all the buzz of all the buying and selling. After exploring the night market and picking up some new souvenirs including an embroidered pom-pom clutch bag, we jumped in a tuk-tuk and went to the Riverside Bar and Restaurant which had live music and a great atmosphere. It was a perfect place to stop and enjoy some late food and drink after the night market and definitely felt like a popular local spot as opposed to a tourist trap. 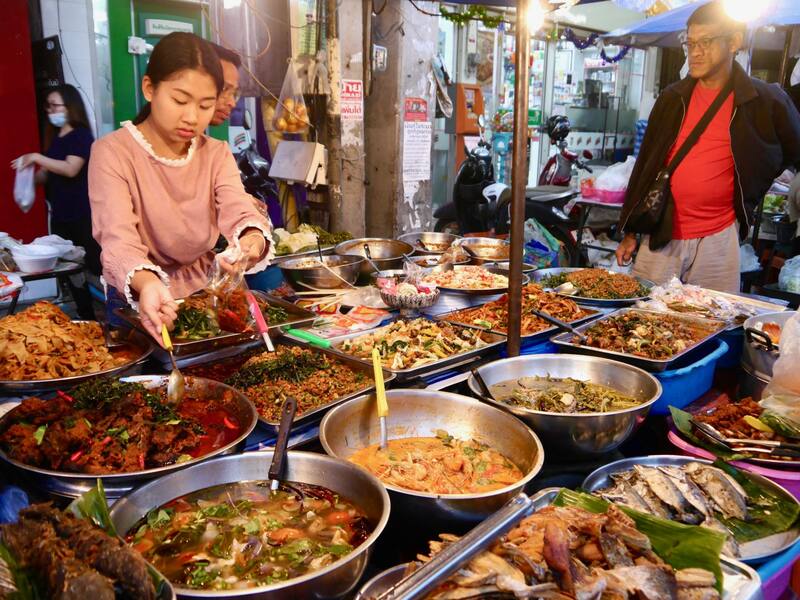 Top Tip: A visit to Chiang Mai's night market is an opportunity to practice your haggling skills. It’s totally expected to negotiate on price here and you’d be a fool to accept the first price the street vendors quote to you. However, if they let you walk off without making the sale then you know you’ve gone too low. Find the sweet spot and play the game! 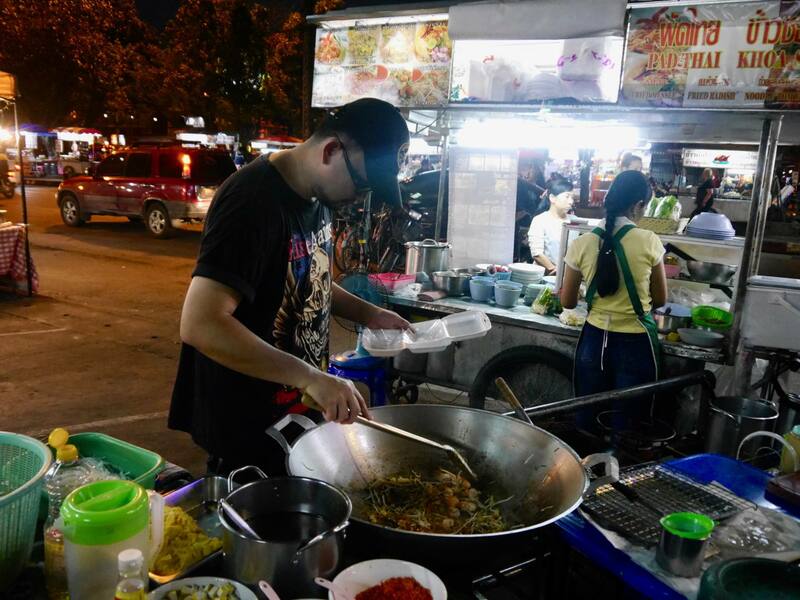 Although I definitely sampled a bit of street food on my last visit to Chiang Mai, going on an official street food walking tour was a first for me. Our guide Yaya was local to Chiang Mai and knew all of the best stalls, which she explained she regularly eats at herself. She told us that street food is so popular in Chiang Mai because it’s often much cheaper for locals to buy food on the street as opposed to cook at home. She was right, the dishes were incredibly cheap (around 45 Thai Baht / £1 per dish). 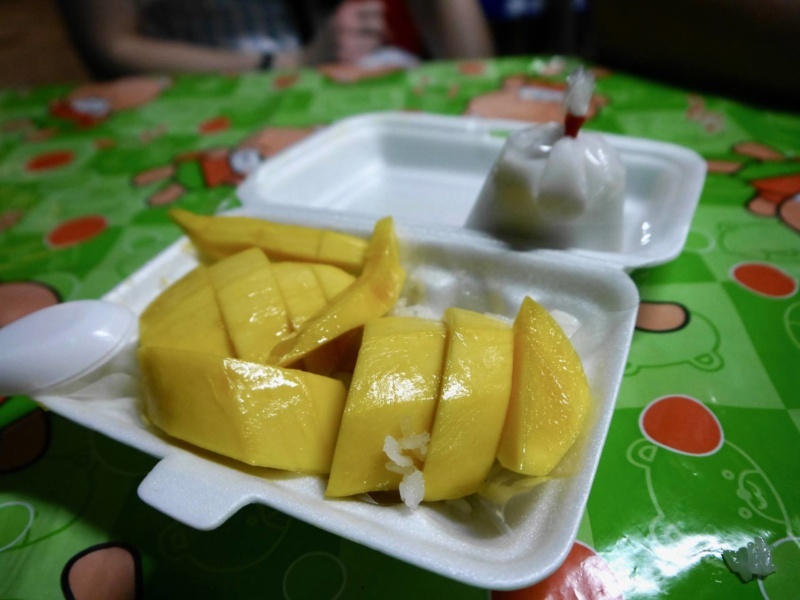 I tried some delicious Pad Thai (Thailand’s signature stir fry noodles) followed by Coconut Sticky Rice with Mango (another famous dessert in Thailand). Both were totally absolutely delicious and fresh! 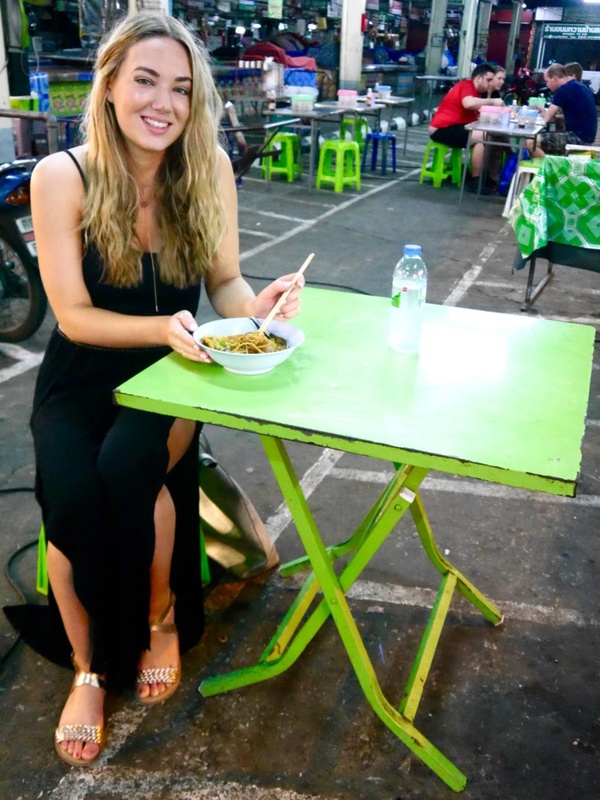 Some people in the group were hesitant to eat the street food for hygiene reasons, but I decided to give it a go as I know I have a pretty resilient stomach. 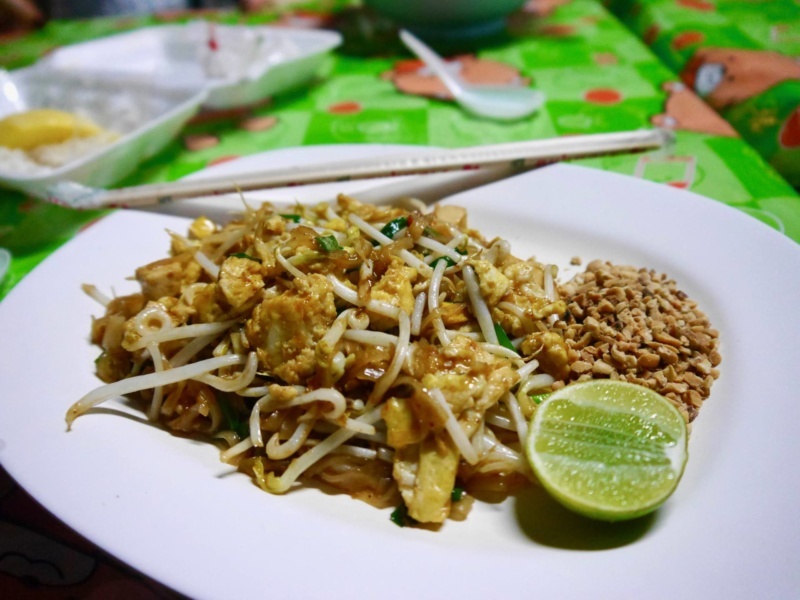 I did opt for a vegetarian version of Pad Thai though, just to be on the safe side! I definitely wouldn't have risked trying the meat skewers as I was suspicious of how long the meat had been sitting out. 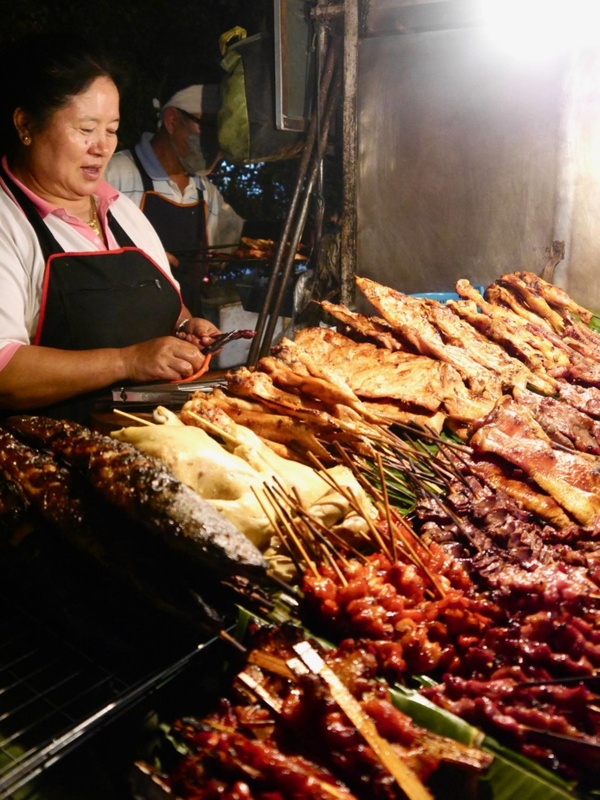 Don’t feel pressure to try street food when in Chiang Mai if you know you have a particularly sensitive stomach. Just do whatever you’re comfortable with as you know your body better than anyone! 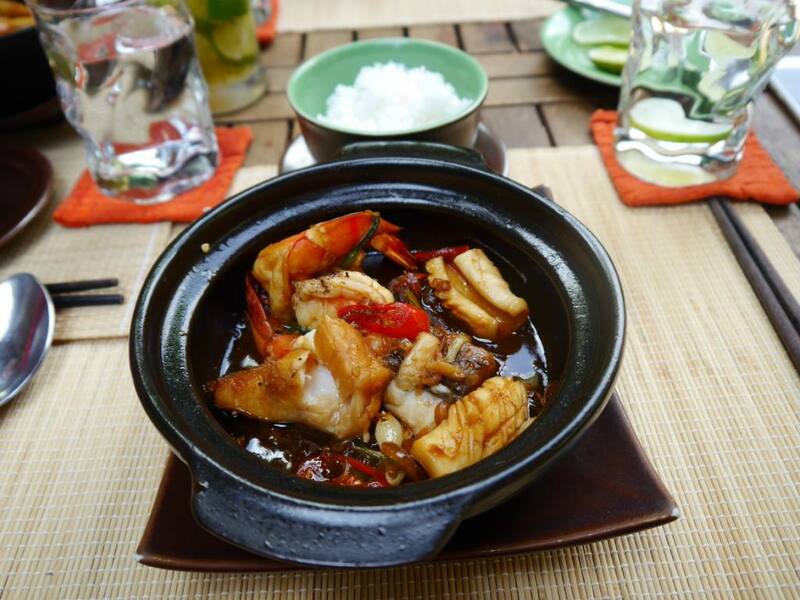 The foodie pursuits continued on our final afternoon, when we visited the Chiang Mai Thai Cookery School. Having only ever done a cooking class in Vietnam before, I was really excited to get hands on and try to make some Thai dishes of my own. 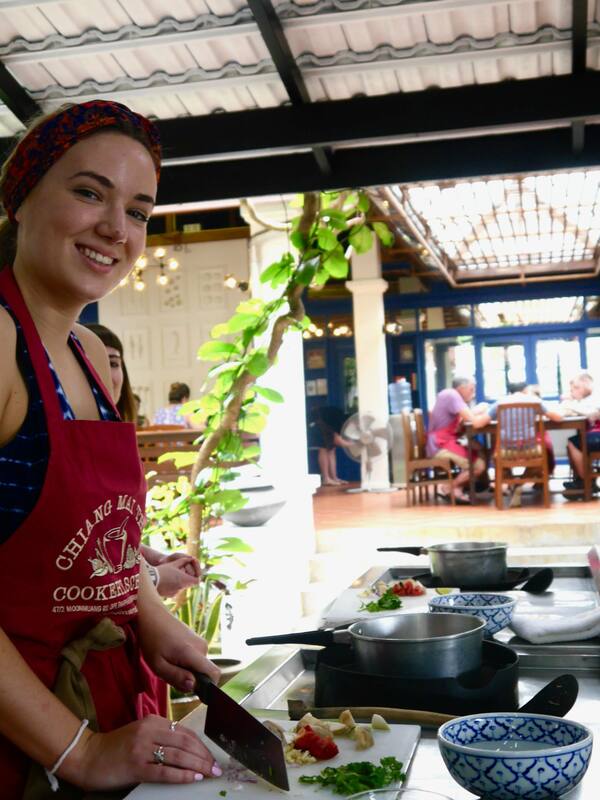 The cookery school was located around 40 minutes outside of Chiang Mai, but I can confidently say it’s well-worth the journey out (return transport is provided). The cookery school has open air cooking stations and indoor classrooms / demo rooms which are fortunately air-conditioned. The entire afternoon was a total delight, mostly thanks to our incredibly entertaining teacher / chef. He kept us laughing throughout the demonstrations and made the cooking methods really easy to remember. 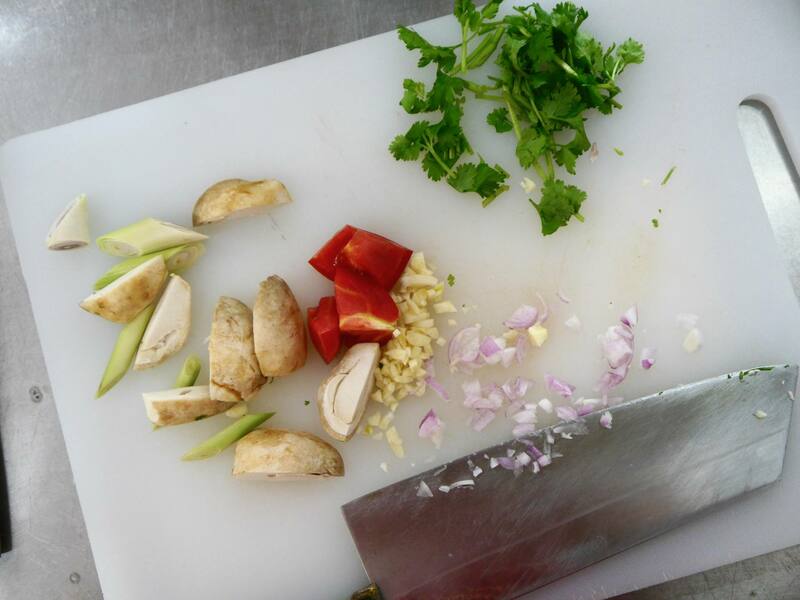 During the afternoon we learned to make a total of four dishes which were Tom Yum Soup, Pad Thai, Thai Green Curry with Chicken and Coconut Sticky Rice with Mango (coincidently, two of the dishes I had tried on the street the day before). 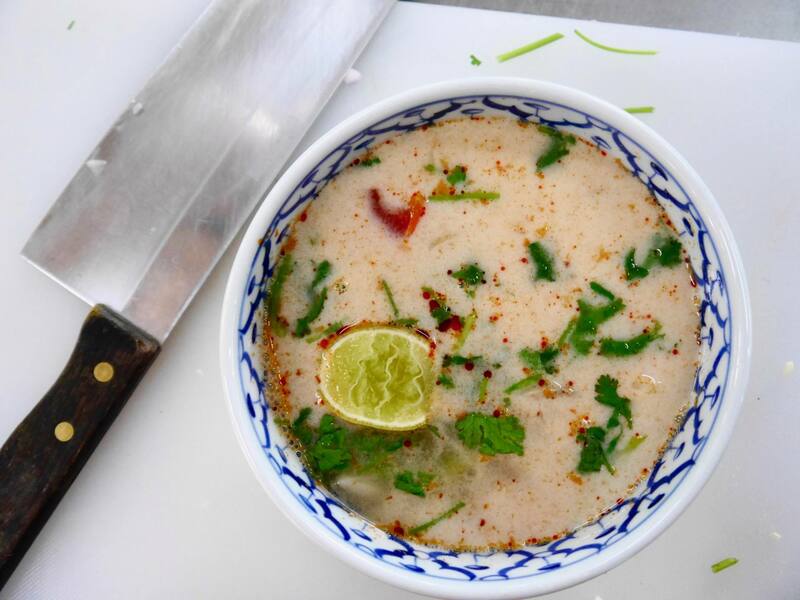 It was amazing to realise how quick and easy these dishes were to make with all the right ingredients in front of us. It must have been thanks to the local and fresh Thai ingredients, but the dishes tasted incredible (if I do say so myself). I’d go as far as saying it was some of the best Thai food I tasted on the trip and it really was a memorable foodie experience. 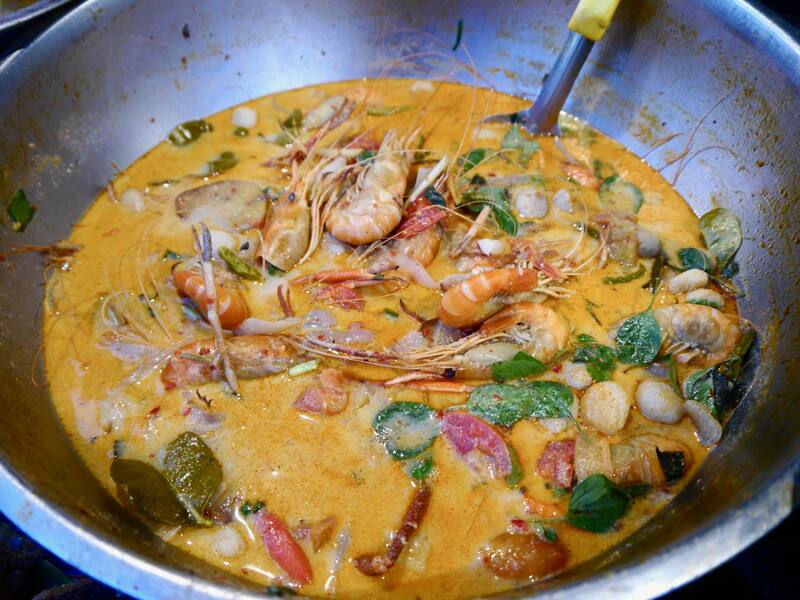 Top Tip: I’d highly recommend the Chiang Mai Thai Cookery School for anyone planning a trip to Chiang Mai. 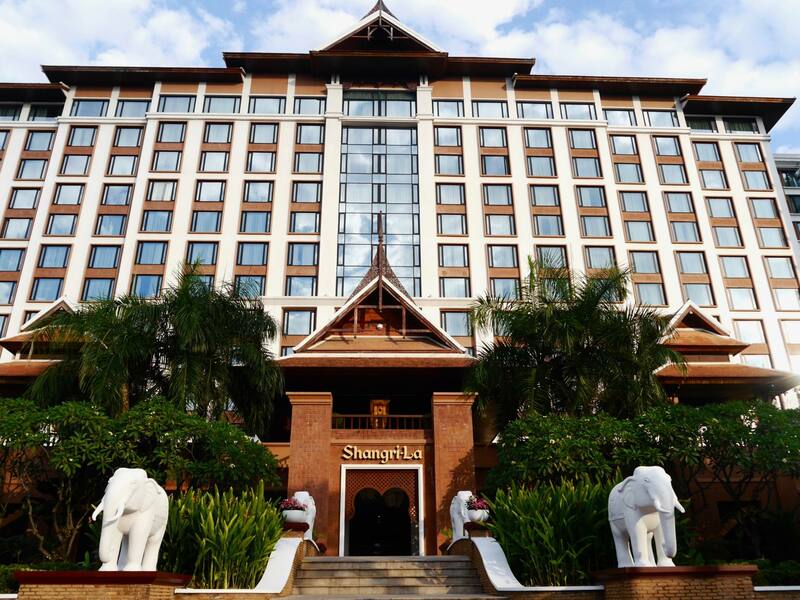 Checking into the Shangri-La Chiang Mai was an exciting element of the trip for me, and a stark contrast to the hostel I checked into in Chiang Mai 8 years ago. 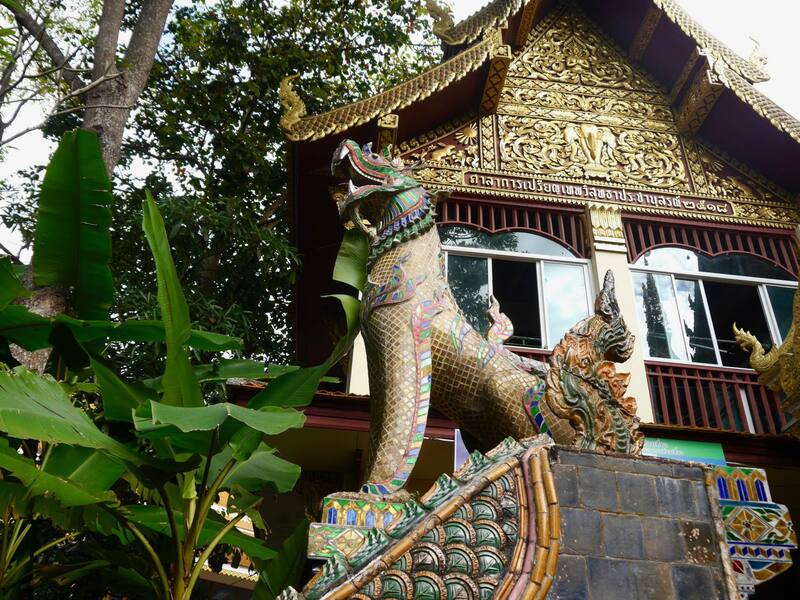 Centrally located close to the Old City, it was a luxurious base for exploring the ancient sights of Chiang Mai. 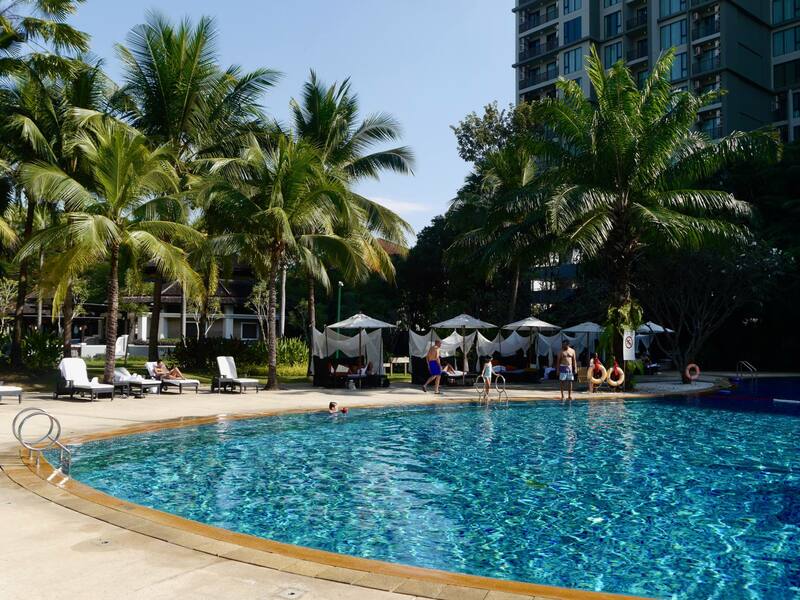 Whilst I loved revisiting the bustling and colourful streets of Chiang Mai, it was so nice to retreat back to the calmness of the Shangri-La Chiang Mai. 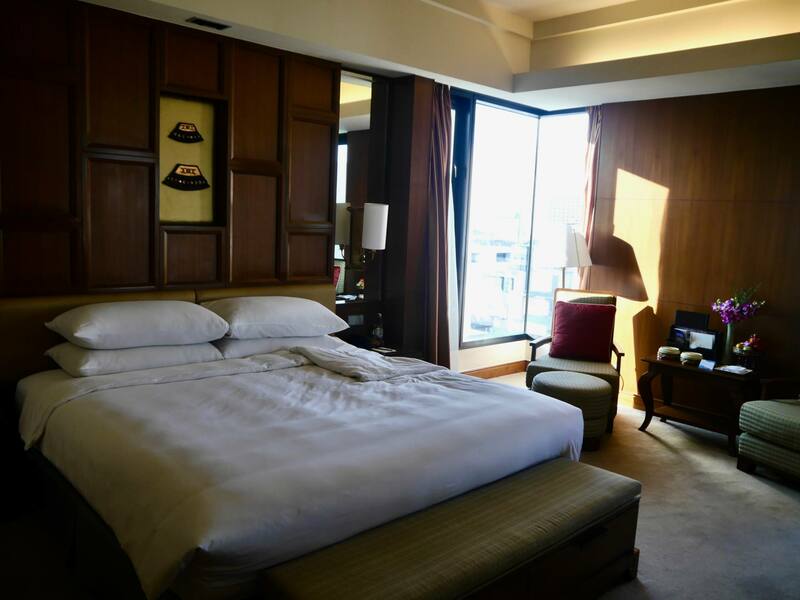 Although it was part of a big hotel group, I love that the interiors of the hotel rooms had Northern Thai influences such as dark teak wood and silk. 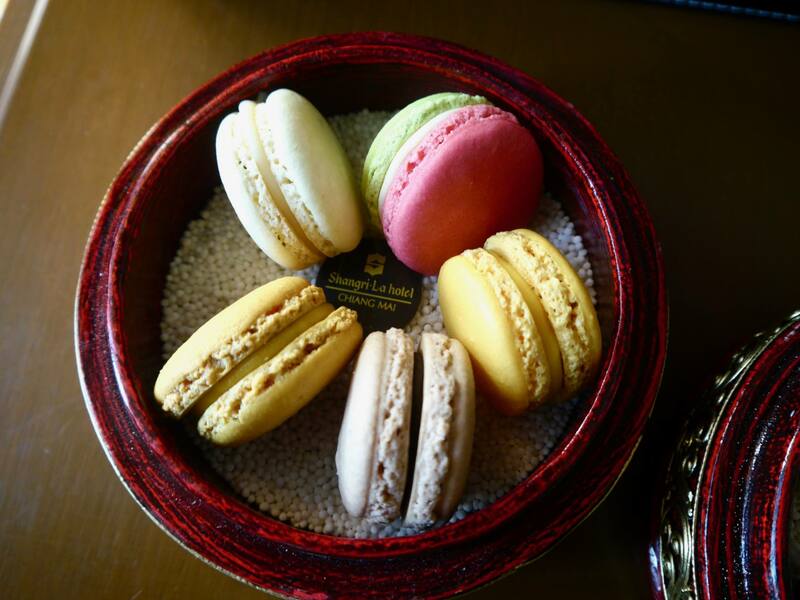 There were also thoughtful touches such as a handwritten welcome note, and macaroons and chocolates in trinket boxes. 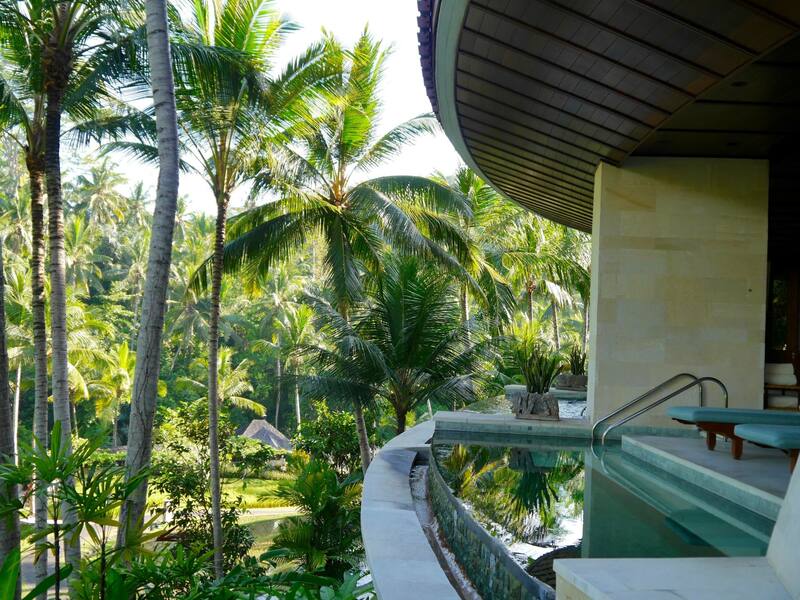 In the little downtime that we had, I definitely made the most of it swimming in the pool, visiting Chi-Spa and even fitting in a Thai boxing class. I flew from Birmingham Airport to Chiang Mai via Doha with Qatar Airways. 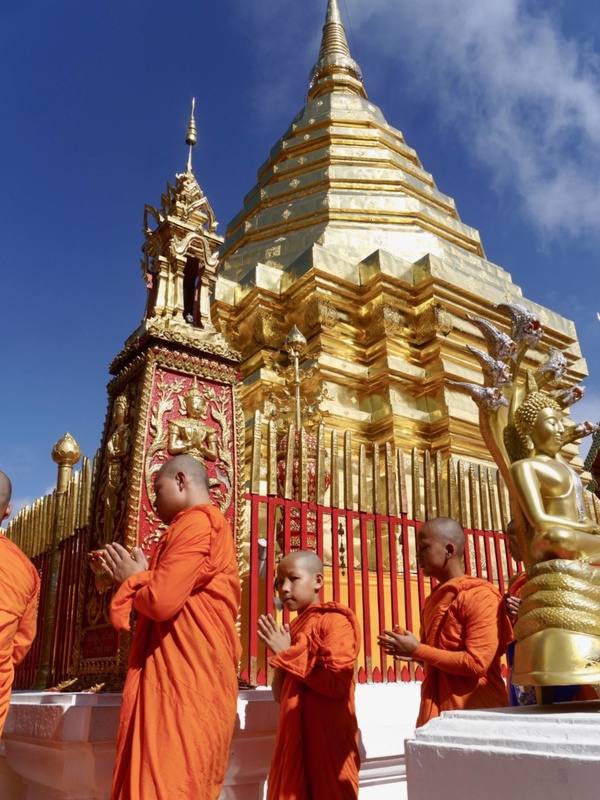 This new route launched in December 2017 and has opened up a really exciting gateway to Thailand from the Midlands and the North of England. Getting to experience Qatar Airways’ award-winning business class was a total pleasure and made the whirlwind visit so much easier. I will be writing up a separate post about the business class experience. Flights from Birmingham to Chiang Mai with Qatar Airways start from £509 in Economy and £1,609 in Business Class. It was a huge privilege to be able to retrace my steps in Chiang Mai again, 8 years from when I first discovered it. I’ve done a lot of growing up in those 8 years and seen a lot more of the world, but I still found the sights, sounds, tastes and smells of Chiang Mai to be totally captivating. It has a special place in my heart and I can't help but wonder how different things would be if I returned in another 8 years time? 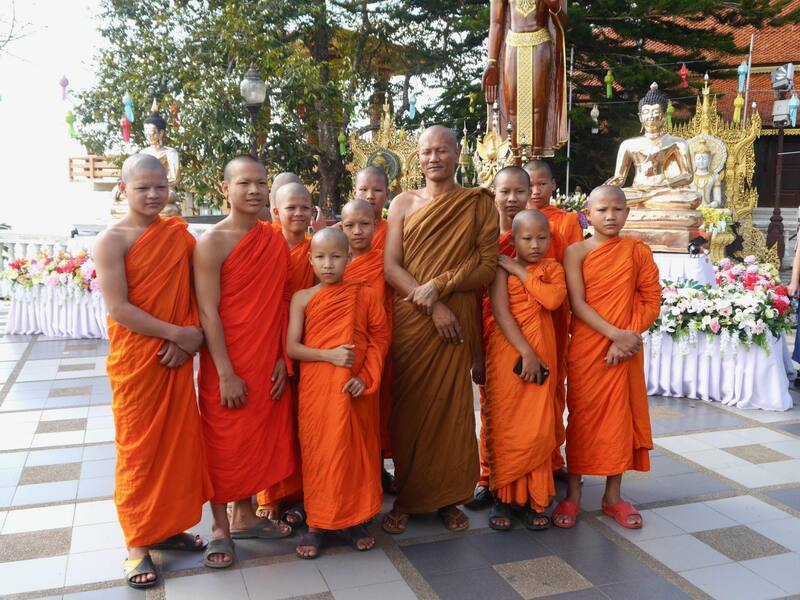 Get more advice on your Thailand trip in Nomadic Matts' Thailand guide. Qatar Airways will also be expanding its global network in 2018 by adding flights to Canberra in Australia, Penang in Malaysia, Pattaya in Thailand and Cardiff in the UK. 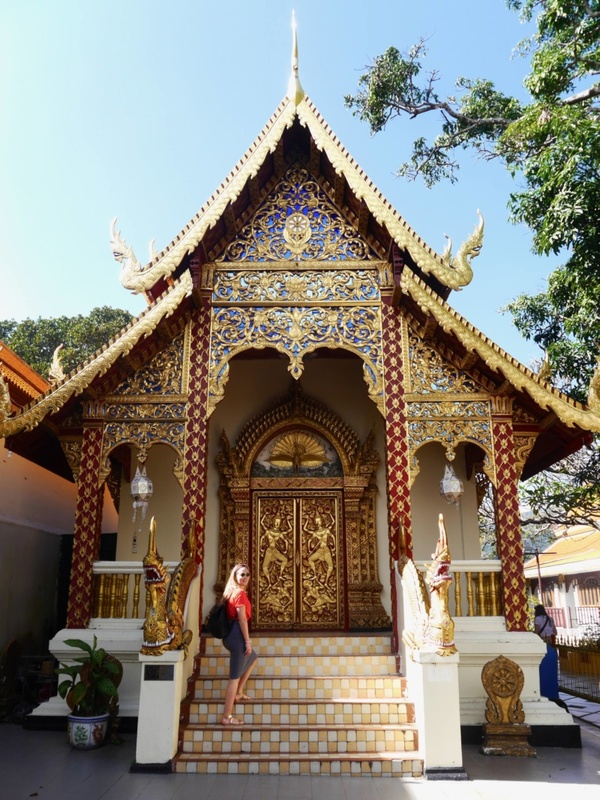 My trip to Thailand was part of a press trip with Qatar Airways and Birmingham Airport to celebrate the new flight path from Birmingham Airport to Chiang Mai Airport. All images, opinions and words are my own. Hi, going to Chang Mai in February for my sons wedding. Spent 5 days in Bangkok at the start of the year……loved it but 5 days was too long. Looking forward to CM after reading your story. Sounds like an amazing trip. 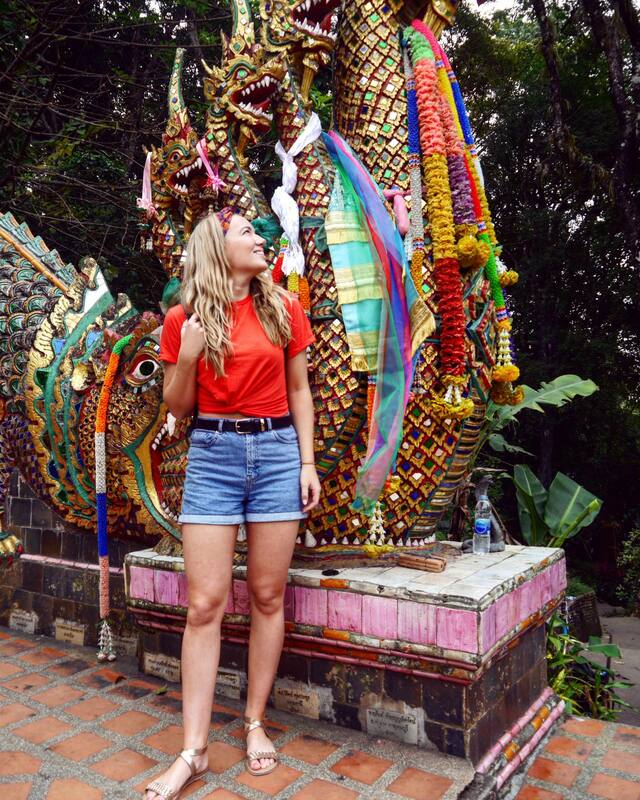 We’ve got a holiday planned to Thailand later this year and I’m so excited now after seeing all your photos! A nice post! I have lived in CM for a decade and agree that it is a great place to be, although getting too busy in high season. Love Thailand. Great blog. Makes me want to go back! Thank you! It was so special to return. Oh I loved Chiang Mai! So much preferred it to Bangkok!